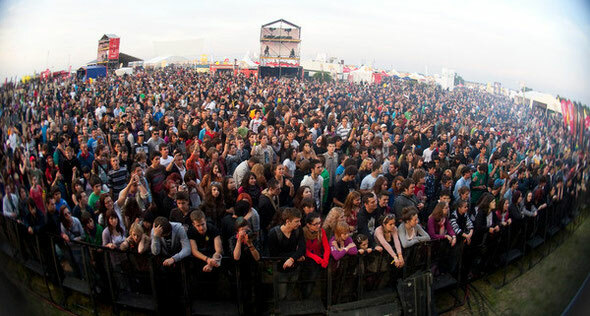 Launched in 2007, B'estfest is Romania’s leading festival brand. After winning a place in the finals of the UK’s event industry Oscars the UK Festival Awards 2009 (for Best Overseas Festival), the festival also received a nomination for the Best Medium Size Festival category at the European Festival Awards, followed again by nominations in the 2011 UK and European Festival Awards. A set for one DJ or DJ duo to perform on the Dance Stage on Sunday 8th July, which will be headlined by Andy C.
Two return flights, the winner must be able to fly from one of the following cities - London Luton, Paris, Dortmund, Bologna, Rome, Barcelona, Madrid, Brussels or Eindhoven, departing on Saturday 7th July and returning on Monday 9th July. Hotel accommodation for two nights (twin room). To enter, just upload a 20 minute mix to your Mixcloud profile using the tag – ‘Bestfest DJ Comp’. Then, promote your mix and get people to engage and listen to your mix, the top 10 DJ mixes with the most engagements will go to the final round. D&B Arena will then choose the winner from the top 10 DJ mixes. The closing date for entries is Wednesday 20th June and the winner will be announced w/c 25th June 2012. To find out more about the competition and how to enter here, just click HERE.